Accudyne Systems, Inc. has practical experience in position control applications ranging from single to multiple degree-of-freedom mechanisms. We have deployed both open- and closed-loop control of position and other process parameters. Accudyne designed and built a 12-end, 6 degree of freedom fiber placement machine capable of complex geometries. On flat panels, the machine demonstrated adds and cuts “on the fly” at 30 m/min using 12 servo driven cutters, within 0.5mm accuracy. High speeds (>15 m/min) on highly contoured parts were accomplished using of linear motors on X, Y and Z, and highly dynamic water-cooled rotary motors. In all, there were 31 servo motors. Accudyne designed a custom position-control mechanism for the application of glaze to ceramic ware. This five-axis, position control application utilized an Ethernet addressable Compumotor 6K8 controller and Compumotor servomotors and drives. Multi-axis coordinated motion enabled the glaze spray gun to follow the contours of ceramic bisque-ware. In addition, three open-loop spray parameters were integrated with the motion trajectories. To dispense sealant and caulk beads, we used two Cartesian robots comprised of Daedal motion-control stages, Electrocraft motors and drives, and a Compumotor controller. Consistent path speed and controlled acceleration in tight corners were key to the creation of consistent bead deposition. 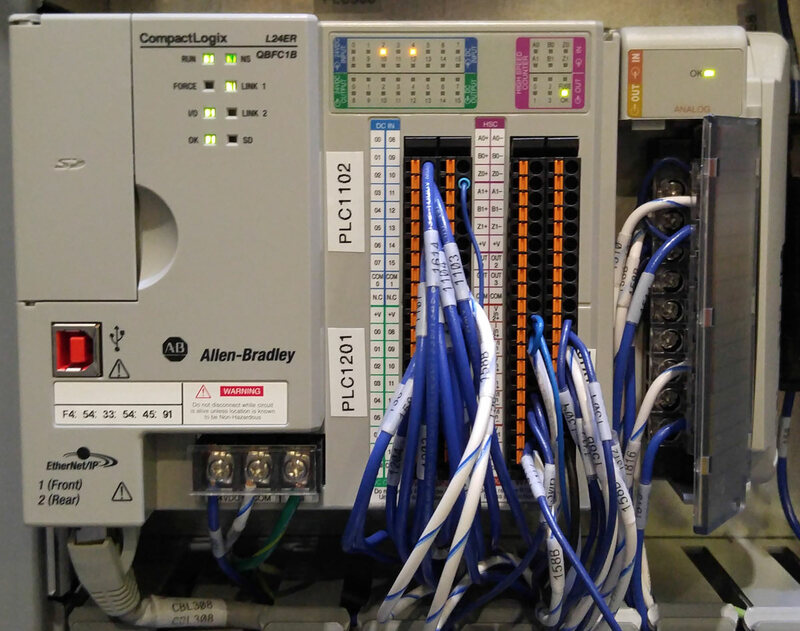 Accudyne can put to work its expertise in the application of PLCs and Motion Controls to solve your manufacturing problem.